Geoengineering And The Collapse Of Earth 2014 - THIS MUST BE SHARED! Click on above link, there is a tonne of really great stuff and graphs!! The ZDG repoted, "The German poultry industry has made great efforts to offer poultry meat from animals raised on GMO-free feeds. Chicken and turkey production cannot be undertaken in Germany without use of genetic technology. Specialized factories for the production of poultry feed require a continuous supply of uncontaminated GMO-free soybeans, but supplies can no longer be guaranteed in the required volumes." However, German supermarkets retracted this statement after consulting with Brazilian authorities on soybean crops, noting that there was enough GMO-free feed to supply the whole of Europe: "The wool has been pulled over the eyes of retailers across Europe by the GMO industry over the past year. We welcome news that they have started to fight back in the interest of their customers, who do not want to buy GM-fed eggs and meat," Henry Rowlands, coordinator of the Global GMO Free coalition, said of the revelation. Utterly astounding - all these 'sanctions' on Russia don't seem to be hurting Russia as much as they are really hurting the 'West'. 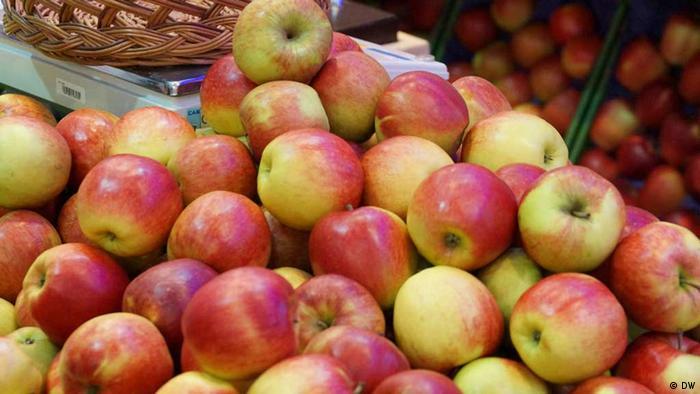 So far we have Putin's Cheese and Polish Apples (not that any eating of this fruit will actually help the farmers who stand to lose millions) and now we have Lithuania wanting money because they are losing out being part of this circus of sanctions! I cannot believe the short sightedness of all these kindergarten antics! Not sure how much I will post - but wanted a place to put some things and thought I might as well ressurect my dead, well almost, blog. I am astounded at how sloppy this has all gotten since the last time that I was actively blogging. Not much has changed - still so many lies and manipulations whereever one looks! Just gonna toss out a few links here and get to know this new look of my blogger account! This above article mentions Murdoch's VICE phenomena, which I do see alot of people falling for hook, line and sinker. I wish they wouldn't as it is sheer unadulterated propaganda, albeit well done, there is an agenda there and it doesn't have alot to do with 'truth'. If you watch you can see it, quite clearly. The reason we are now hearing of ISIS, in my humble opinion, is because the "Al Queda" brand is utterly failing. People are tired of hearing about it, and know that we have supported these thugs for decades upon decades. Time for a relaunch - time for ISIS!! Even named after an old diety! That'll let people remember it better and more punch. Green screens and beheadings are the order of the day - often 'verifed' by our dear old Rita Katz of SITE. ISIS is the new Emmanuel Goldstein of our post Lybia times. I guess it's nice I can take a three year break from all this and come back and see that nothing has changed - just become even more ridiculous! his week's session was different, however. Hosted by the UN-chartered Intergovernmental Panel on Climate Change (IPCC), the meeting marked the first time the Nobel Prize-winning organization has turned its scholarly attention to a set of ideas many critics dismiss as fanciful, and possibly destructive. At least someone in the mainstream is actually mentioning this topic, usually confined to alternative sites as well as massive disinfo campaigns. Does anyone believe that they haven't already tried out some of these methods? Good grief, just look up in the sky some days and you can see what are clearly not contrails all over the place, none of which are following any designated flight paths and trails which spread out 'whitening' the sky. Given the illustrious history of the IPCC, would you trust them with the climate of the world? Just another method to launch war and destabilise countries and make a buck while doing it. These control freaks need to be stopped. Another link in the SSRI violence chain.. Normally, perch are shy and hunt in schools. This is a known strategy for survival and growth. But those who who swim in Oxazepam become considerably bolder,” Tomas Brodin, the lead researcher, said in a statement released along with the study. The drug essentially made the fish braver and less social – even anti-social. “Perch that were exposed to Oxazepam lost interest in hanging out with the group, and some even strayed as far away from group as possible,” Brodin said. This is very interesting given the adverse effects seen in humans as well. The lack of socialisation, the 'risky' behaviours often leading to suicide and or murder. While these 'side effects' do not present in all individuals who use psychiatric drugs, we all know and it is 'accepted' that a certain percent of the population will have negative reactions to these concoctions. We have seen and will continue to see these mass shootings, suicides and other deviant behaviours as the use of these drugs continues to pervade society.